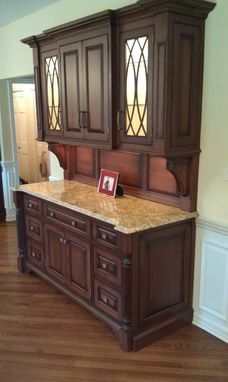 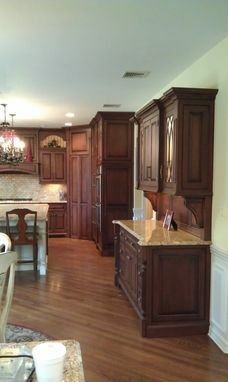 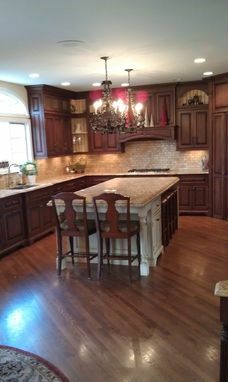 Custom maple kitchen, beaded inset with raised panel doors. 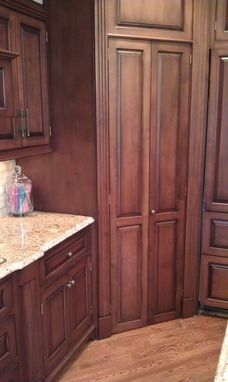 under mount soft close drawer slides with dovetail solid maple drawers. 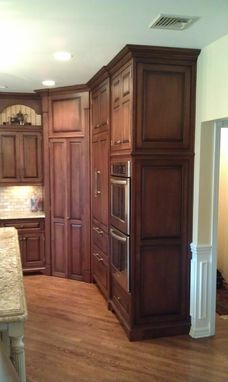 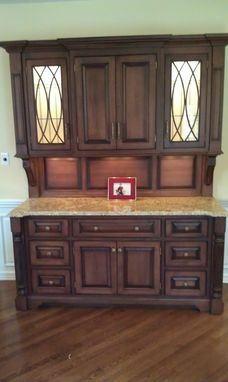 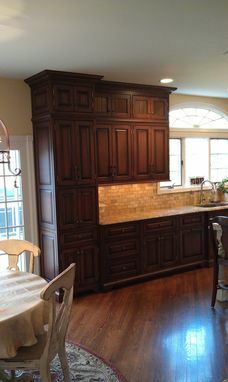 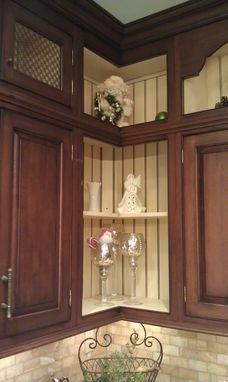 Pull outs in all base cabinets, cherry stain with waterbased laquer finish.